What is the price of oil going to be tomorrow? 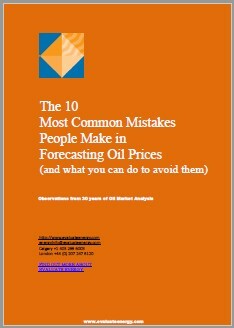 But there’s a problem: oil and gas price forecasts remain notoriously inaccurate. Evaluate Energy has 30 years of experience in the oil and gas industry, and has some interesting perspectives to share.